We are customer focused and as a result our service is the best in the industry. Hydraulic parts and services are our business but we understand that added to the quality of our product needs to be the quality of our service. 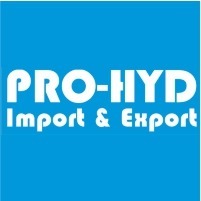 Pro-Hyd manufacture various hydraulic parts. In addition to this we also service all the products we manufacture and those of other leading brands. Situated in Kew, Johannesburg Pro-Hyd are optimally located to deliver on the hydraulic requirements of industry across Gauteng. Pro-Hyd was founded in 1985 to meet an ever increasing demand for hydraulic components. Pro-Hyd obtains through import that which is hard to find or too costly to purchase locally. As the premier source of hydraulic parts we can deliver components to any industry. Our hands-on approach and value of customer interaction allows us to custom build hydraulic parts and equipment according to client specification, while our dedication to customer service and customer satisfaction allows us to include the client in the design process from inception, right through to the delivery of the final product. Tags: Vanway Linear Crusher, Parker Hannifin Hydraulics, Bosch Rexroth Hydraulics, Poclain Hydraulics, Nachi Hydraulics, Kawasaki Hydraulics, Eaton Pumps, Parker Hydraulics, GEAR AND VANE HYDRAULIC MOTORS, GEROTOR MOTORS, AXIAL PLUNGER MOTORS, RADIAL PISTON MOTORS, SINGLE ACTING OR DOUBLE ACTING, MOUNTING STYLE, HYDRAULIC CYLINDERS FROM PRO-HYD IMPORT & EXPORT (PTY) LTD, DIRECTIONAL CONTROL VALVES, POPPET VALVES, ROTARY VALVES, CARTRIDGE VALVES, Seal kits.